THIS IS REN CLEAN SKINCARE. Looking good + doing good = feeling good. Should be simple, right? But some conventional skincare can actually harm your skin. And, our planet. We’re on a mission to change that, all by being clean. What goes on your body is key. We choose only bio-actives that benefit skin health, and ingredients that protect the efficacy of the formula and make it a pleasure to use. The result? Clean, safe skincare, with no toxins, no harsh or controversial chemicals, and no potential irritants - ever. The goal: zero waste by 2021. 100% recyclable packaging, refillable solutions, bottles with reclaimed ocean plastic - we’re working toward a waste-free future. And to tackle the current waste issue - we’ve taken action. With global activist partner, Surfrider, we’re cleaning up beaches and oceans worldwide, now. Skin a no-glow? We got you. 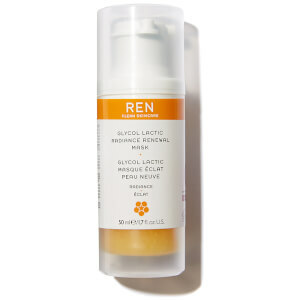 REN’s Radiance range reawakens lacklustre complexions with key brightening and exfoliating natural bioactives. Find cleansers, masks, serums and toners with glow-restoring vitamin C and super-effective (yet gentle) AHAs like glycolic and lactic acid. Proven to bring energy back to tired, polluted or city-living skin. Sensitivity, sorted. 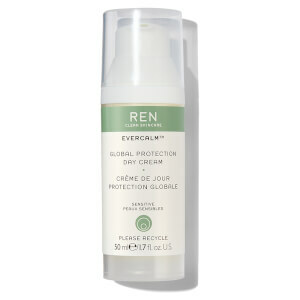 REN’s Evercalm™ range is packed with soothing, calming and anti-irritant bicactives, formulated to reduce redness and restore skin’s protective barrier against environmental stress. Find bestselling cleansers, moisturisers, masks and serums that stop irritation now, while actively training your skin to be less reactive over time. For skin that’s ever calmer, ever better. Flawless skin starts with your cleanser. The REN Rosa Centifolia range is a complete cleanser collection. From hydrating milky formulas to pampering hot cloth cleansers and super-efficient (and quick) wipe-off makeup removers. All infused with sustainably sourced and skin-soothing natural rose. The skincare philosophy of REN is: Performance, Purity, Pleasure. The latest research and advanced technologies make sure that the product you use has been clinically tested and proven. Each product is formulated with cutting edge, clinically proven bio actives to promote clean, revitalised skin. The brand is famous for its focus on clean skin care, steering clear of skin-unfriendly, synthetic and fragrant ingredients. The aim is to give your skin the TLC it needs, so making your skin soft and happy is part of the triple 'P' philosophy.